Over the year, the key cutting process has evolved greatly. This can be attributed to the fact that technological advances have led to the advent of complex locks which require complex keys to open. However, we at Elite Local Locksmith Wigan provide a wide range of key cutting services. If you loose you house keys, Elite Local Locksmith Wigan will help you get into your property by cutting a new key for you. This process takes a short time, hence the individual is saved inconveniences rising from the key cutting proves. Elite Local Locksmith Wigan also provides key cutting services to residential and commercial property owners. Irrespective of the type of lock in your commercial property, we are bound to cut keys for you. Moreover, we have the capacity to cut a lot of keys. Our locksmiths can cut keys for a whole commercial faculty e.g. a whole apartment block or a hotel with many rooms. You may also loose you car key. Fret not for our locksmith will quickly cut a new car key for you. 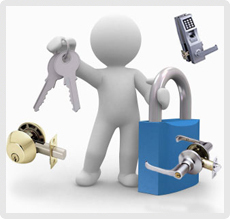 Over the years, Elite Local Locksmith Wigan has invested a lot of money in technology. This has gone a long way in easing the key cutting process. Moreover, our locksmiths have the ability of cutting transponder keys for cars. Transponder keys are used in vehicles with immobilizer boxes. A vehicle with an immobilizer box starts with a transponder key, which has an electric chip. If you loose you car key, you will not be able to access or start the car. An individual in Wigan who finds himself or herself in such a situation should simply contact us .Our locksmiths are versed in immobilizer box programming. After programming the car’s immobilizer box, a locksmith will then cut a key with the new code. Besides, key cutting, we will also duplicate keys for you. The duplication process is carried out by our qualified locksmith. The duplicated key produced is similar to the master key. There are a number of reasons why an individual or company in Wigan should seek our key cutting services. For starters, we have unbeatable offers. Our prices are the best in the town. We also give unbelievable offers and discounts to our clients. Secondly, we have a dedicated team of locksmiths. This enables you to receive quality services. Thirdly Elite Local Locksmith Wigan provides reliable and quick services. This is in line with our fast response time policy. An individual needs are quickly addressed within an hour of contacting us. Our reliability and professionalism has enabled us to be the leading key cutting company in the Wigan. Do not hesitate to seek our services for all your key cutting needs in Wigan.